Dubai is about to have another “biggest in the world” on one level accolade to add to its already stellar list. And it comes in the form of the brand new Nike store, which is opening its doors to the public in The Dubai Mall on Saturday, December 1. As well as being packed with all the latest Nike gear, there will be exclusive customization opportunities during the week allowing you to choose a style and make it personal to you with a range of special Dubai-only options. Opening week will be packed with special activations and events. So whether you’re a fitness fanatic or streetwear fan, there should be something on the schedule to make you hotfoot it down there. A quick word of warning – make sure you register here for these events in advance, because spaces are already in-demand. If you’ve always fancied yourself as a shoe designer, it’s time to get creative. This workshop gives you the opportunity to customise your very own pair of Air Force 1 sneakers. You’ll get the chance to see the hydro dripping process and choose personalised elements such as tack stitching and more, so that you come away with a completely unique pair of AF1s. Get your running gear on for this special Nike Run Club event, which has been completely tailor-made for Dubai. Runners will start from the brand new store at 6.30pm, and head out to take on the picturesque DXB route. This one’s especially for the ladies. 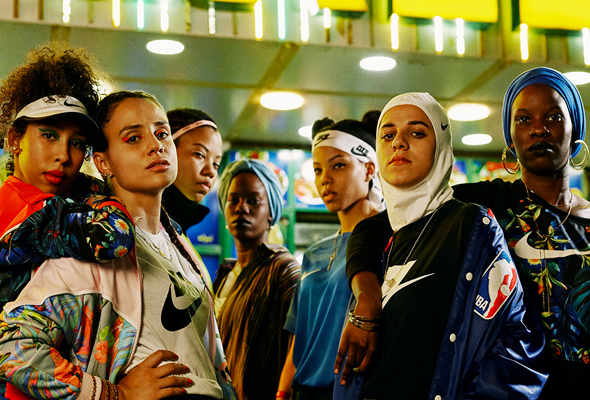 Join in Nike’s women-only training session for a unique workout like you’ve never tried before. This special customization session will see artist Ali Cha’aban and sneaker designer Waxfeller lead the event. Kuwait-based, Lebanese-born Cha’aban is known for mixing tradition and pop culture. And for kick-lovers Waxfeller needs no introduction, having carved a name for unique, attention-grabbing designs. Get yourself along for a seriously special pair of Air Force 1 trainers. Football fans, assemble! This customisation workshop will allow you to create your very own unique football jersey, with name and number options as well as a range of badges. Talented artists Cheb Moha and Chndy will be on hand to oversee designs and make sure your shirt is the most stylish strip both on and off the pitch. The Nike store opens on the 2nd Floor of Fashion Avenue in The Dubai Mall on Saturday, December 1 at 12pm. Register for the events here.